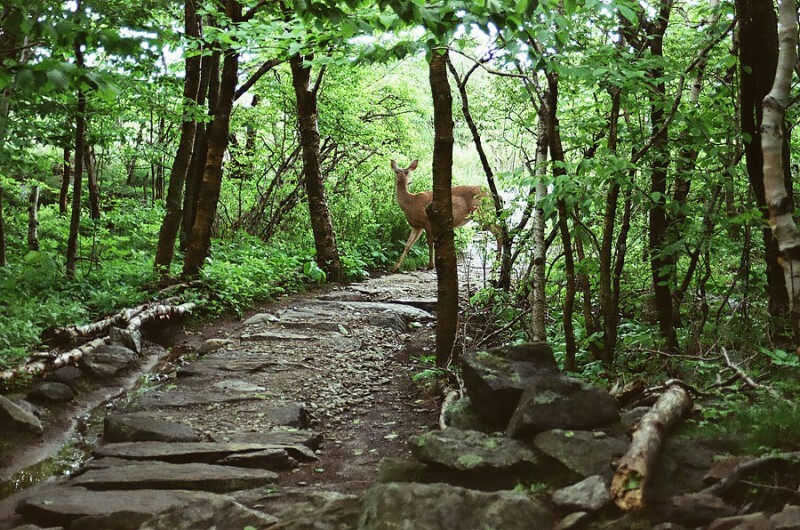 Monadnock State Park is a nearly 6,000 acre property situated in Jaffrey and Dublin, New Hampshire, operated and managed by the New Hampshire Division of Parks and Recreation. 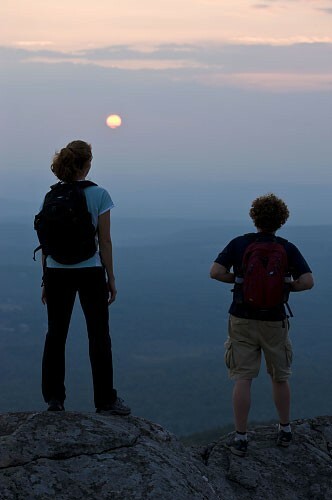 The focal point of the park is the 3,165’ Mount Monadnock, also known as “Grand Monadnock.” Operated and staffed year-round, Mount Monadnock contains 37 hiking trails, just over 8 miles of X-C ski trails, three staffed trail entrances, and two campgrounds. 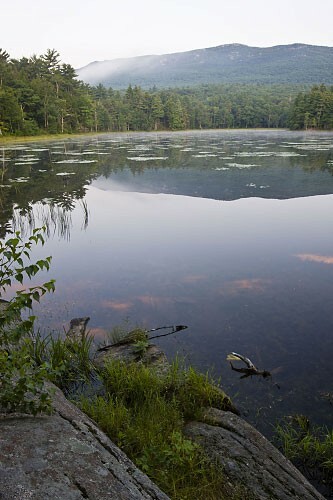 The majority of the land is owned by the Society For The Protection of New Hampshire Forests (SPNHF). 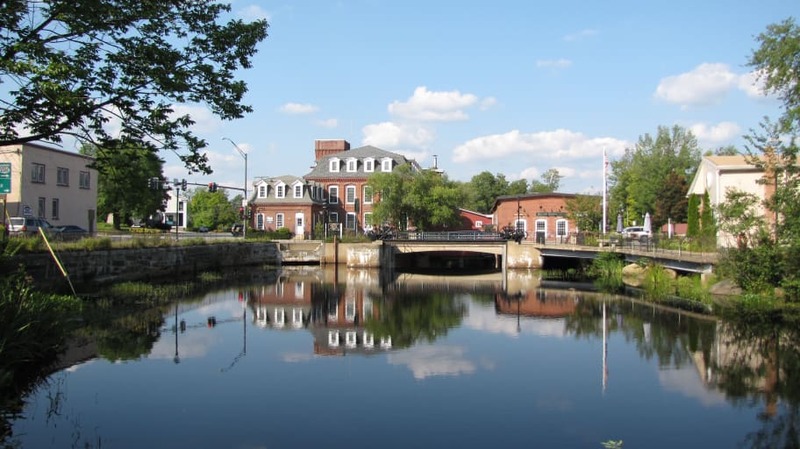 The State of New Hampshire owns over 1,000 acres of the land and the Town of Jaffrey owns over 400 acres. The land owned by SPNHF and the Town of Jaffrey are leased to the State of NH for management. 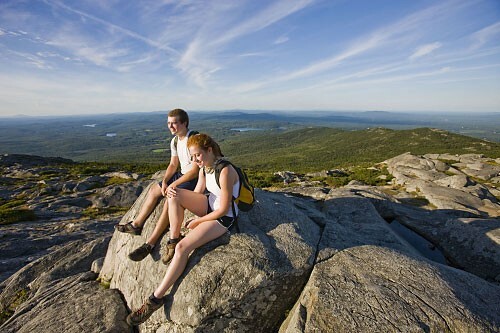 Rising to 2,000’ above the surrounding land, Mount Monadnock is the highest peak in New Hampshire south of the White Mountain National Forest and has been the centerpiece of southwestern NH since the area’s first towns were established in 1749. 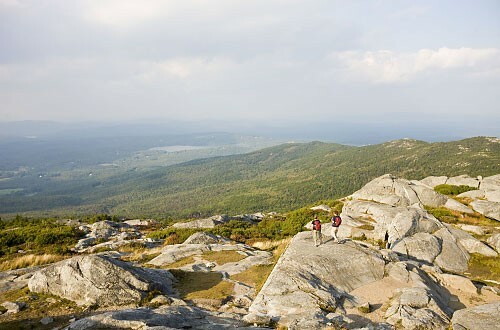 The name “Monadnock” is thought to be derived from an Abenaki word loosely translated to “place of the unexcelled mountain”. The completely exposed rocky peak rises about 400 feet above its un-natural treeline, caused by many historic fires. 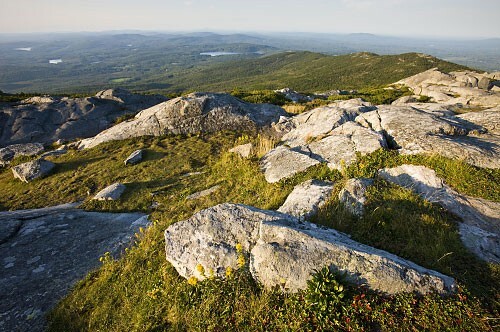 The earliest recorded reference to Monadnock’s bald summit dates back to 1780. The last significant fire on the summit occurred in 1820. Despite popular lore, the summit was not likely set on fire purposefully by area farmers to drive out wolves. Mt. 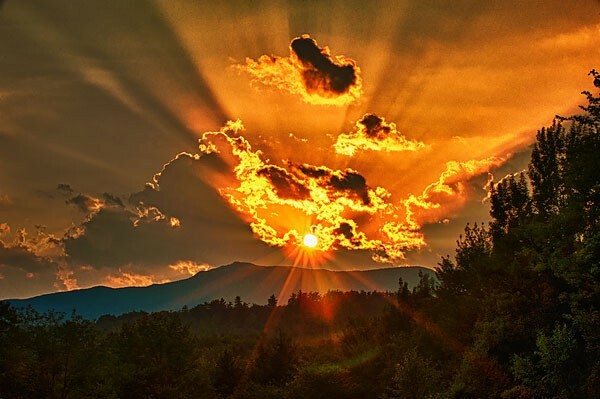 Monadnock has also had a continually strong tie to the arts, as its lure and imagery has been reflected and celebrated in books, poems, song, dance, photographs, paintings, drawings, and film. 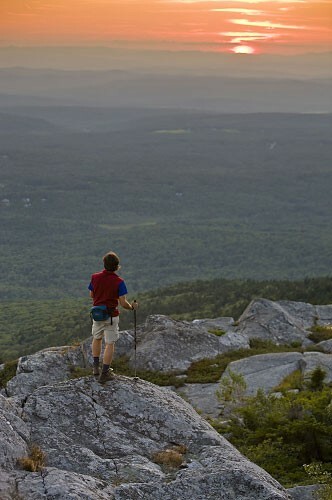 Referred to as the most noble mountain in literature, Monadnock has inspired and has been loved by the likes of Henry David Thoreau, Ralph Waldo Emerson, Nathaniel Hawthorne, H.P. Lovecraft, Willa Cather, and Abbott Thayer. A Mecca for hikers, Monadnock’s popularity has been strong since the 1800’s and is climbed annually by over 100,000 per year; an attendance mark that has held steady for over 30 years, making Monadnock one of the most hiked mountains in the world (thought to be third in hiker attendance behind only Japan’s Mt. Fuji and China’s Mt. Tai). Additionally, 14,000 annual year-round camper nights are recorded at the mountain’s two campgrounds. 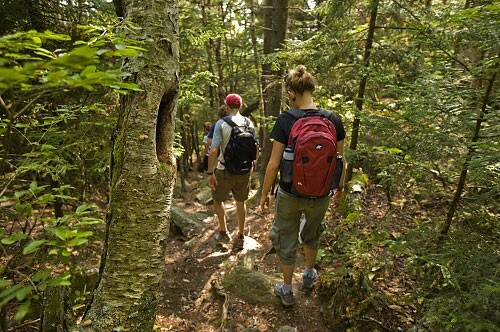 Over 80,000 hikers enter annually from the Monadnock State Park Headquarters on the southeast side of the mountain. 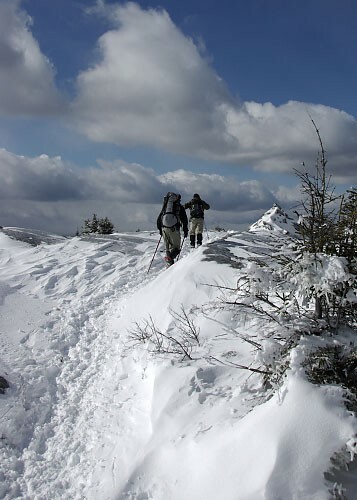 While the mountain’s trails are steep, rugged, and challenging, the draw for most hikers is the views afforded at the summit. 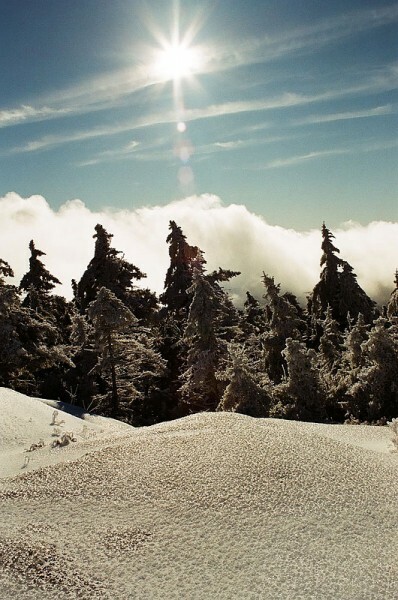 On the clearest of days, 360 degree unobstructed views from Monadnock’s summit can reach almost all six New England states, the skyline of Boston, the Franconia Ridge, and Mt. Washington, 105 miles to the north. 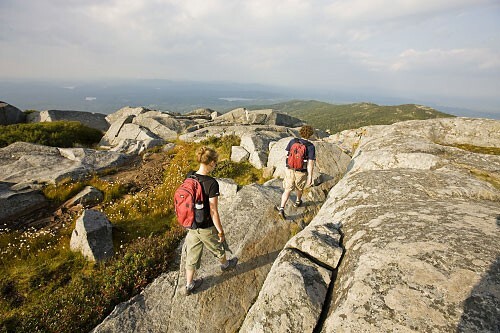 Monadnock’s first recorded ascent was in 1725 and the mountain’s oldest continuously maintained path, the White Arrow Trail, dates to 1825 and may be older. 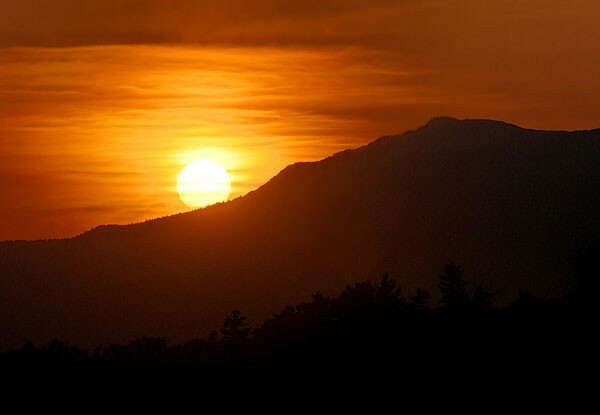 Gap Mountain (1,900’ above sea level), in the towns of Troy and Jaffrey, lying about 3 miles south of Mount Monadnock, is an 1,100 acre property solely owned by SPNHF. The acreage and the 3 miles of hiking trails are also leased to NH State Parks and are considered an extension of Monadnock State Park.